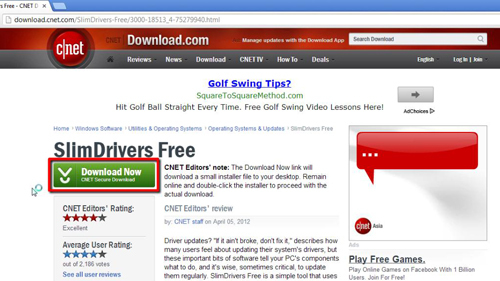 Go to “download.cnet.com/SlimDrivers-Free/3000-18513_4-75279940.html.” Click on the green button which says “Download Now CNet Secure Download.” You will then be taken to a page where the file “slimdrivers-setup.exe” will automatically download. 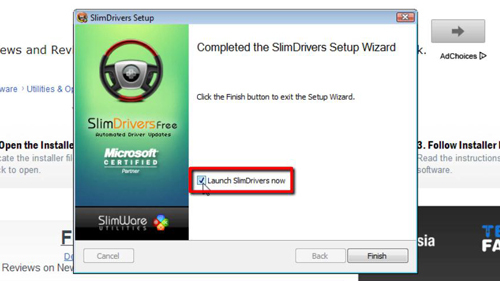 SlimDrivers will now install, and you will then be taken to a section which says “Completed the SlimDrivers Setup Wizard.” Select the “Launch SlimDrivers now” button if you wish to launch the SlimDrivers download now, and then click “Finish” to complete the installation. 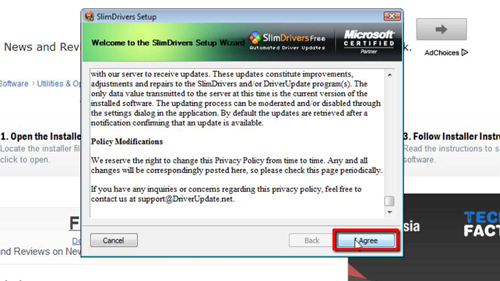 You now have SlimDrivers install which should make managing the drivers on your device much easier.